Enjoy HGTV-style tiny home living in a custom-built tiny house just 10 minutes north of Waco! Deerfield Cabins is a cluster of 6 tiny homes all built on a tiny home concept, but without compromising comfort or losing the space to relax. 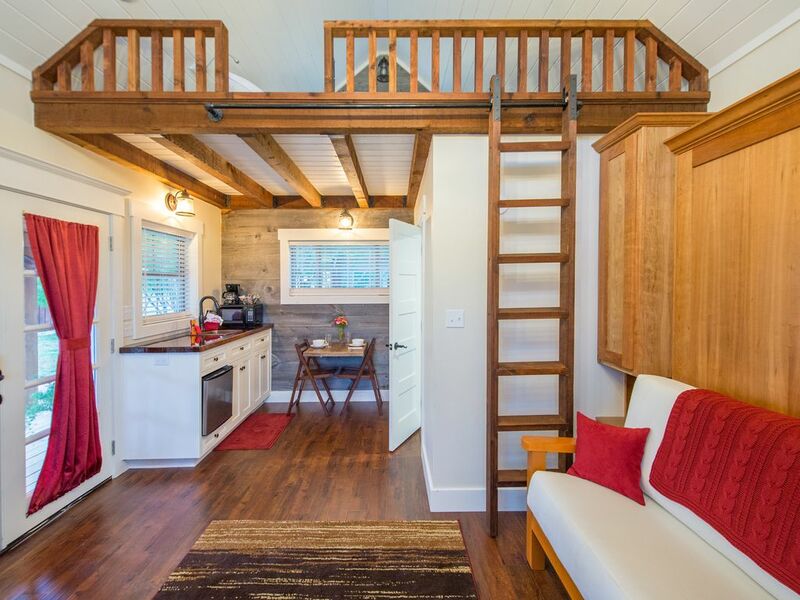 Each cabin sleeps 2 people in a custom-built fold-down Murphy bed with an incredibly comfortable Arapahoe&#xae; king-size mattress, and the loft also holds a double bed suitable for 1 to 2 children (or an adult who doesn't mind a ladder). Chose this site for our annual girls trip this past weekend to visit the Silos and I'm so glad we found this tiny house :). A few minutes away from everything but suited our needs perfectly. Would stay here again! Perfect tiny house! New, clean, well-kept and close to everything we wanted to do in Waco. We loved staying at this tiny house. The house itself was ideal for me and my husband, and we loved the location. My husband and I could only stay one night, but we loved it! I wish we could have stayed longer! The home was very clean, private, and had everything we possibly needed! The caretakers showed us incredible hospitality to be sure we were well taken care of! Thanks for the great experience! This tiny house is adorable. It is very clean, and the owner has provided great attention to detail so that everything one needs for a nice stay is included. The Murphy bed was very comfortable as well. I would definitely recommend it. This was such a nice clean house. The environment was so calm and quiet. We loved staying here. Super cute and very comfortable! Had everything we needed for a girls’ weekend.